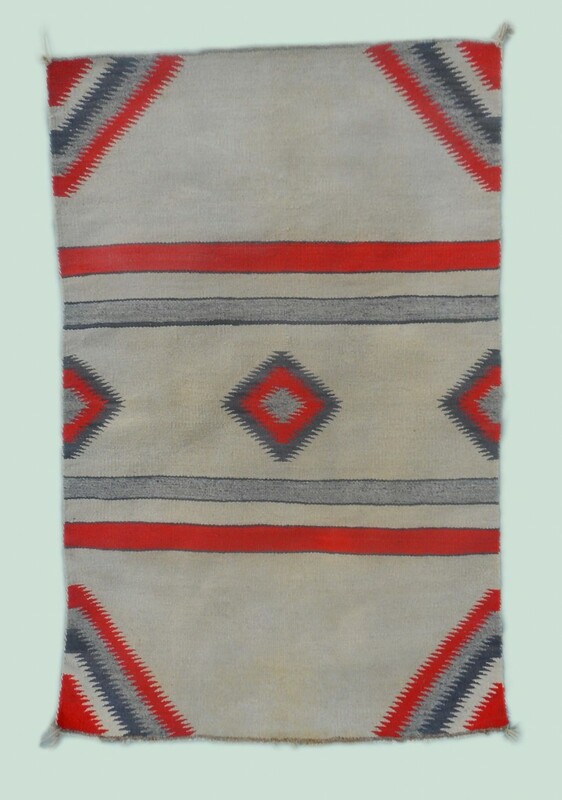 Navajo double saddle blanket with interesting colors usually associated with Transitional-era weavings. 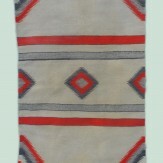 Heathered gray, denim blue, and natural white are set off with the Transitional orange-red. 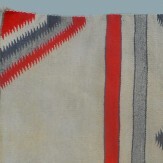 The weave is not as coarse as most transitionals, causing us to conservatively estimate age around 1920's. 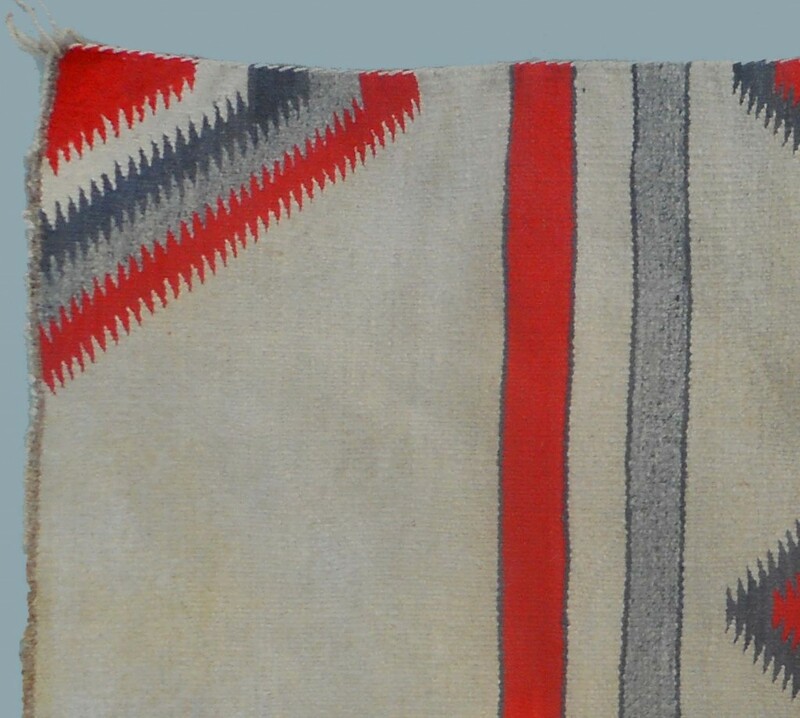 The corners have serrated designs decorating them and in the center is a diamond storm pattern. The field is white. In very nice condition. 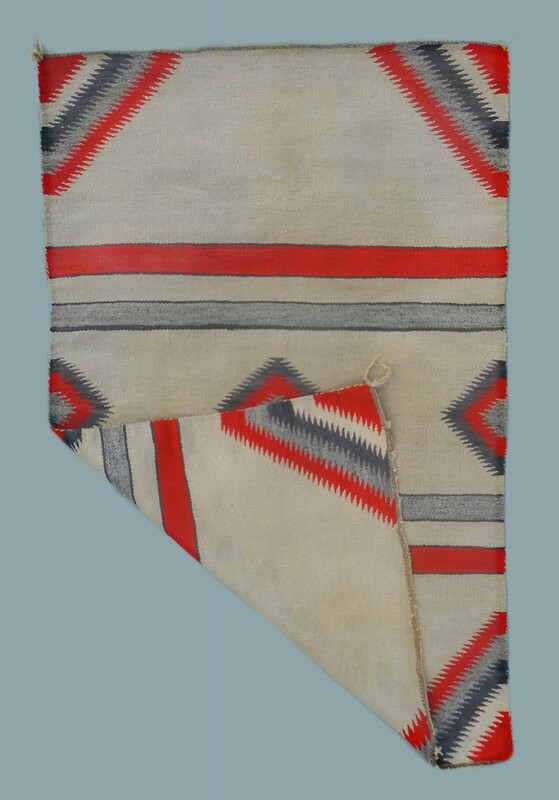 Circa 1920, measures 51" x 22"